Combining traditional charm and exquisite execution, the Stickley Lancaster Collection upholds the refined grace of the past but with a modern sophistication. 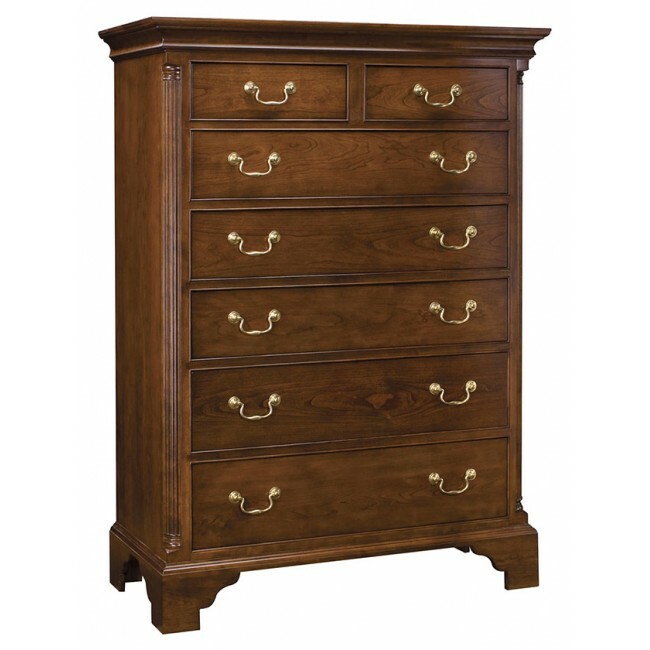 The Lancaster Tall Chest features seven beaded drawers with brass swan neck bail pulls. Fluted quarter columns on either side appear to support the top moulding. Jewelry tray in top right drawer. Available in solid cherry.